Fort Worth's Best Kept Secret..! I began my musical career in 1968 as a drummer in my Dad's band "NICHO SAENZ Y Los Alegres Del Norte" My very first gig was at "The Bridgeport Ball Room" in Dallas,Tx. I was 12 years old and had no business playing drums that night but my Dad said: "Hey The Other Jackass Drummer We Got Can't Play Either! "........I Guess That Was A Compliment? The music that I liked and listened to in 1968 was The Beatles, Mowtown, Sunny Ozuna and a new guy named Carlos Santana! Man when I heard "Oye Como Va" played by Santana I got hooked on music! I knew then that music would be part of my life forever! I played Conjunto music with my Dad for about 6 to 8 years! Played all the local dives but never got to play the music that I liked! In the Fall of 1974/75 I got into the Chicano movement and became the Vice President of the North Side High School Spanish Club! We wanted to take the Spanish Club members to Six Flags in the Spring but it was going to cost a whole lot of money that we didn't have! Some one mentioned a taco bake sale! I said, "Do you know how many taco we are going to have to make and sell to get enough money to take the club and the chaperones?" A lot!!!!! So I came up with the idea of a concert! Ticket price: 50 cents to get in at the school auditorium during second period! That Fall I formed The Latin Express and raised $800.00 for our Club! $800.00 in 1974! That was a lot of dinero back then! We had enough money to pay for the tickets to Six Flags, buy everyone T-Shirts & food and still had money left over to give to the next year's Spanish Club! 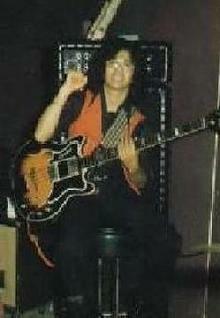 In 1980 I added my brother Leo who at the time was 14 years old and attending Trimble Tech High School. I wanted to get out of playing the dives but no one would give us a break! But one day Trimble Tech gave us that first break!!!! They asked us to play their "Sadie Hawkins Day Dance" in the Tech gym! I agreed and the rest is history!!!! Thank You Trimble Tech for believing in us! This New Years Eve Latin Express will be celebrating 38 years in the music business! In January 2001, the band performed for the Presidential Inaugural Ball in Washington, D.C. Throughout the years the band has won numerous awards varying from: "The Fort Worth Weekly Award" / "The Fort Worth Star Telegram Best of Tarrant Award 2003 / "The Dallas Morning News Observer Award" / "The Hispanic Heritage Award" / "The Hispanic Salute 2000 Award" / "The Little Joe y La Familia Life Time Achievement Award" to name just a few. 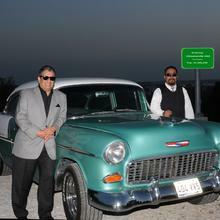 On November the 15th 2008 The Latin Express were inducted to "The Tejano Roots Hall Of Fame Class Of 2008" in Alice,Tx. We want to give thanks to all of our fans across the United States. Thank you for making us feel so welcomed when we are on the road. Last but not least, we want to thank our Lord for the many blessings he has bestowed upon us. We pray that he brings peace to the world. God bless our service men and women all around the world fighting for our freedom! Bring them home safe. 2011 And Still Making Music!